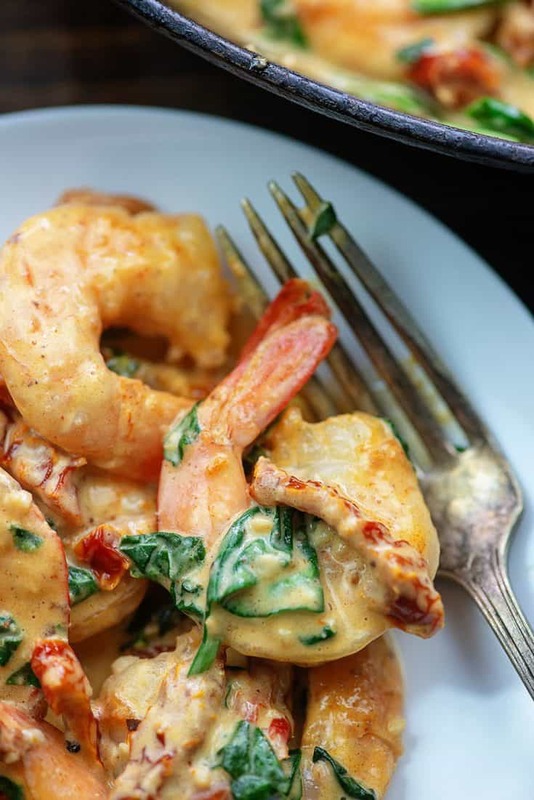 This skillet shrimp recipe is ready in minutes and packs so much flavor thanks to the cream sauce loaded with sun-dried tomatoes and garlic. Serve as is or over zucchini noodles or even a pile of steamed broccoli! Lately, I’ve been craving sun-dried tomatoes. There is so much flavor packed into such a tiny little piece of tomato goodness. I could probably eat them like candy, but that might get a little carb-y. 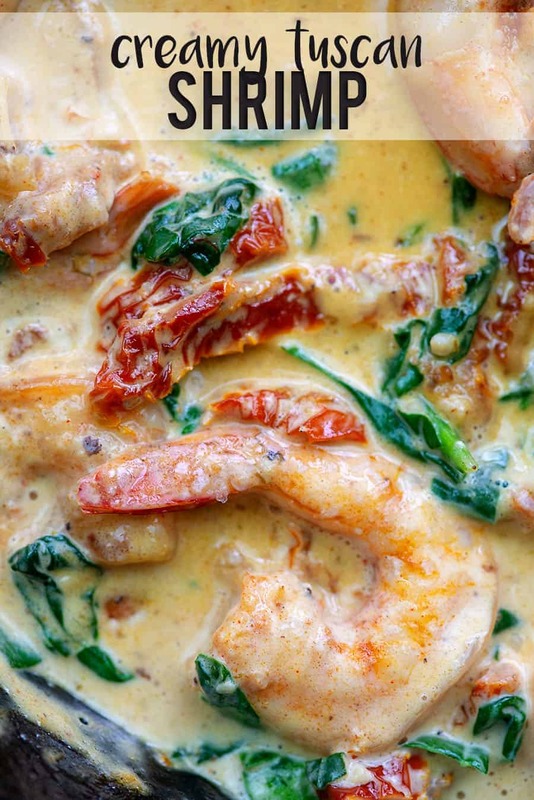 Luckily, you don’t need a ton of sun-dried tomatoes to add loads of flavor to a dish – like this creamy Tuscan shrimp. 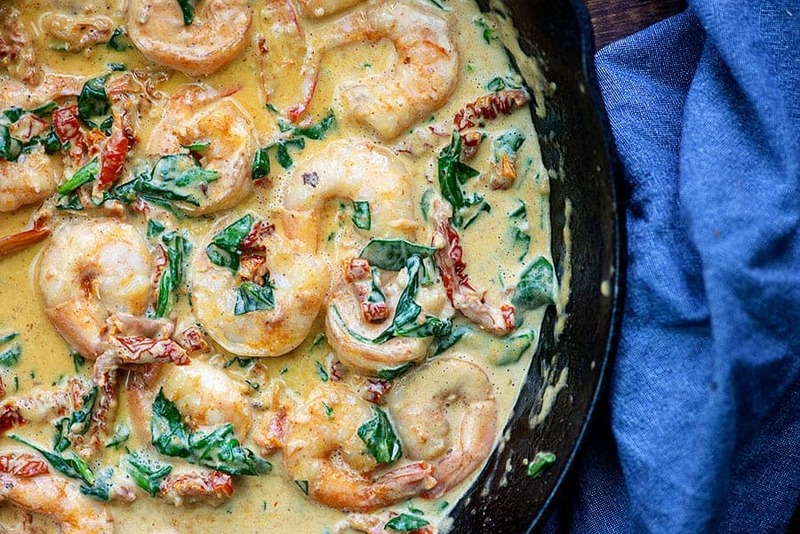 This skillet shrimp recipe is low carb, family friendly, and it’s ready in about 15 minutes. I love quick dishes like this that taste like they were so much work and took you hours to prepare. 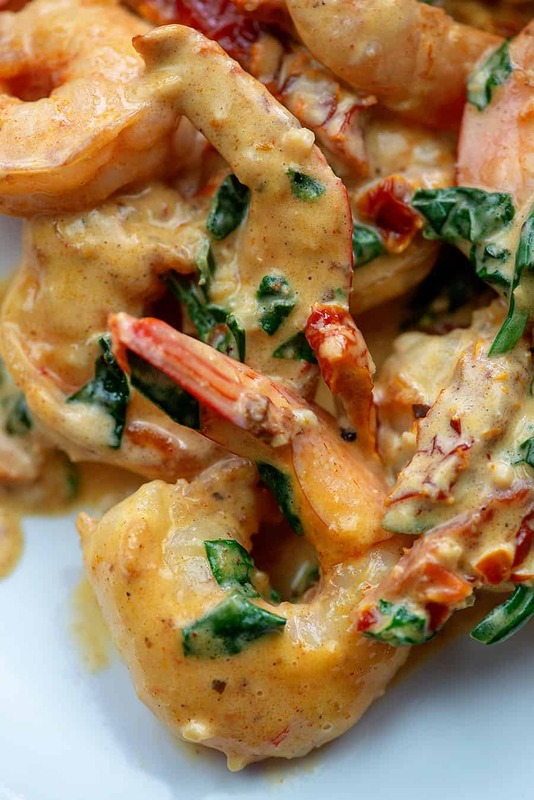 Ready to see how easy this shrimp recipe is? To start, we’re going to melt some butter in a large, heavy bottomed skillet. Add in your shrimp and season it with some garlic powder and paprika. Cook the shrimp until pink and opaque and then remove them to a bowl. Pour some cream into the hot skillet. Add in your sun-dried tomatoes and garlic and give it a good stir. Let this mixture cook for a couple of minutes to reduce the sauce just a bit. Add some spinach and stir it around, letting it cook until it’s wilted. Stir the shrimp back into the sauce and season with a bit of salt. That’s it, friends! Dinner is served and it’s taken you just about 15 minutes from start to finish. Crazy, right? We love having lots of shrimp recipes on hand for busy nights because you can start with a bag of frozen shrimp and thaw it under cool running water in the sink in about 10 minutes, making it perfect for those nights when you have no idea what to do for dinner. This shrimp recipe takes less than 15 minutes from start to finish, but it tastes like you’ve been slaving away all day. Best of all, this dish is very versatile! 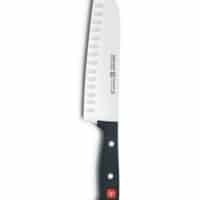 Serve it over zucchini noodles, spaghetti squash, low carb pasta, or with a side of steamed broccoli. No matter how you serve it, it’s always a hit because that cream sauce is seriously divine! Mashed Cauliflower: I’d serve the shrimp and sauce right over the cauliflower! Prosciutto Wrapped Asparagus: The prosciutto makes this asparagus so good! Cauliflower Salad: This is dressed in a light Italian dressing and loaded with veg. Garlic Butter Shrimp: The easiest shrimp ever! Baked Shrimp Scampi: Simple and flavorful! Baked Cod: Bursting with lemon goodness! 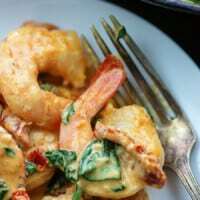 Cilantro Lime Shrimp: I love the bright flavor of cilantro. 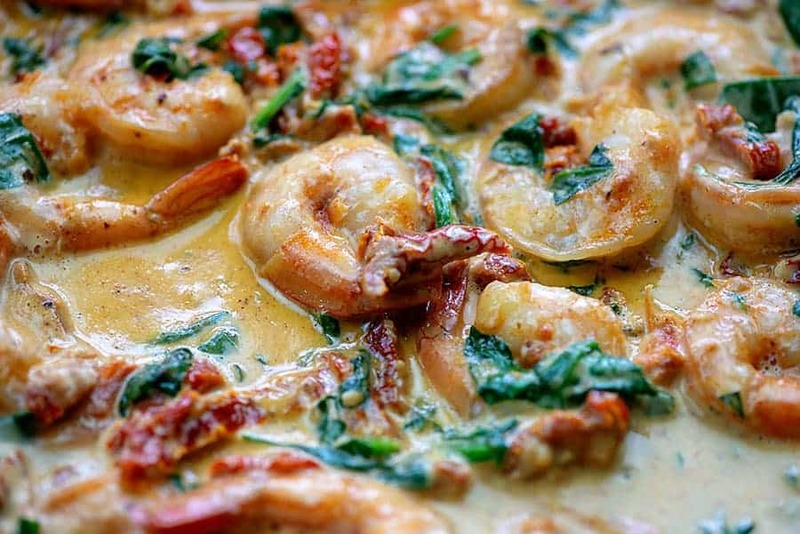 The cream sauce is packed with flavor from the sun-dried tomatoes and the shrimp cooks in minutes making this a super simple recipe. 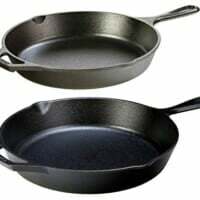 Heat a large, heavy bottomed skillet over medium heat. Add the butter to the skillet. When the butter has melted add the shrimp and sprinkle with the garlic powder and paprika. Cook for 5 minutes, stirring occasionally, or until shrimp is pink and opaque. Remove the shrimp to a plate and set aside. Add the heavy cream, sun-dried tomatoes, and garlic to the pan and stir well to combine. Let the sauce cook for 2 minutes to thicken over low heat. Add the spinach and stir well. Continue cooking over low heat until spinach has wilted and sauce has thickened, about 2 minutes. 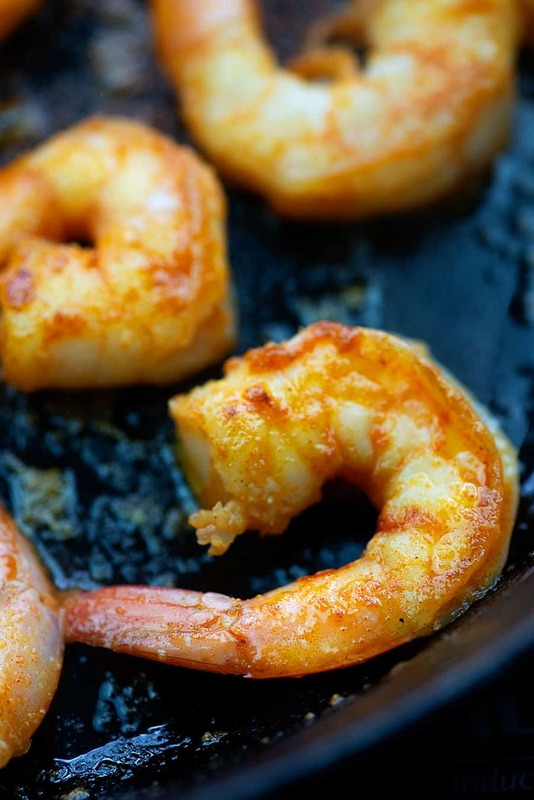 Return the shrimp to the skillet and coat with the sauce. Sprinkle with salt, to taste. 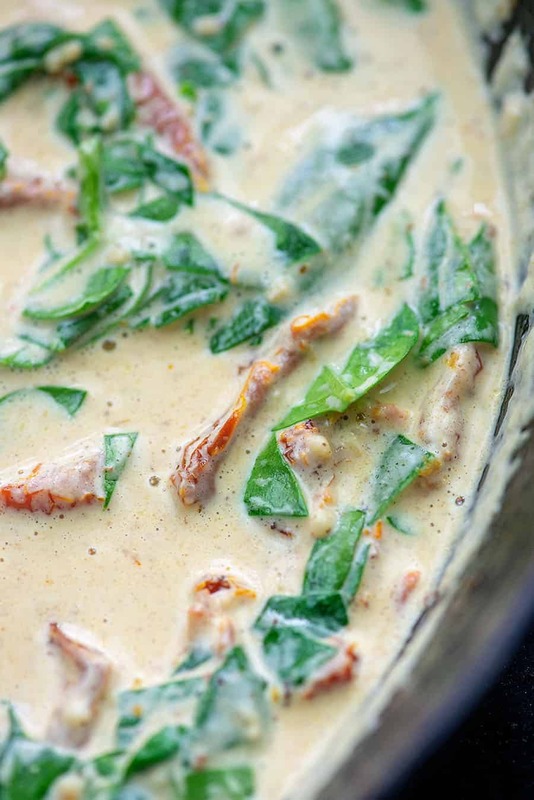 Heavy cream will make the thickest, creamiest sauce - milk will not work as a substitute. This sounds delicious. I dont have any sun-dried tomatoes at home right now, but do have roasted red peppers. Do you think these could be substituted? I haven’t tried this with peppers. The flavors will definitely be quite different, but the sauce will still come together the same with no other adjustments, I’d think. What could you use rather than spinach !!! You could leave the spinach out if you like or add in a bit of basil. Are the sun dried tomatoes packed in oil? I enjoyed this dish so very very much and i will do it again soon. Only change would be to use more spinach.